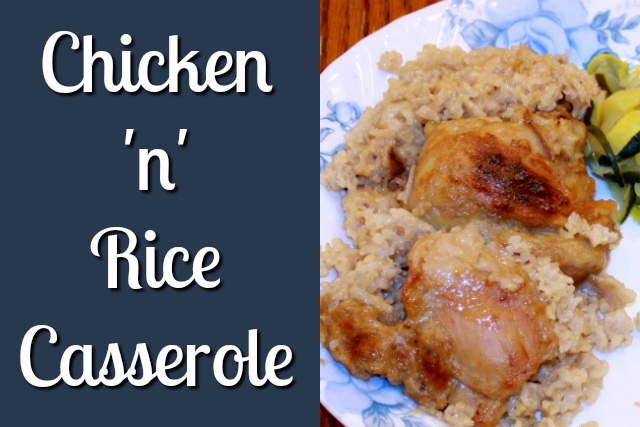 Here is a great recipe I like to make for company, Sunday dinner, or just anytime! Pour rice in the bottom of a 9 x 13-inch baking dish. Add soup, mixed with water. Add milk and onion soup mix. Place chicken on top. Bake at 350° for an hour. Marilyn is wife to Rick, Mom to 14 children, Nana to 16 grandchildren (and counting!) and homeschooler for 37 years. She and her husband own Character Concepts which they started for the purpose of helping others raise children with a strong, godly character and Biblical worldview.. They have developed character curriculumfrom preschool through high school, based on what they found worked whenteaching their own 14 children over the years. Her passion is to help young moms raise kids of character and enjoy the journey! 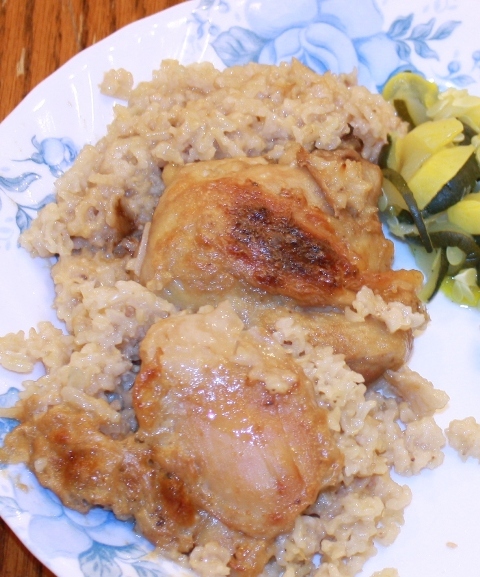 This entry was posted in Family Favorite Recipes, Main Dish and tagged chicken, chicken and rice, easy dinners, family dinners, favorite recipes, main dish, recipes by Marilyn. Bookmark the permalink. Marilyn is wife to Rick, Mom to 14 children, Nana to 16 grandchildren (and counting!) and homeschooler for 37 years. She and her husband own Character Concepts which they started for the purpose of helping others raise children with a strong, godly character and Biblical worldview.. They have developed character curriculum from preschool through high school, based on what they found worked when teaching their own 14 children over the years. Her passion is to help young moms raise kids of character and enjoy the journey! 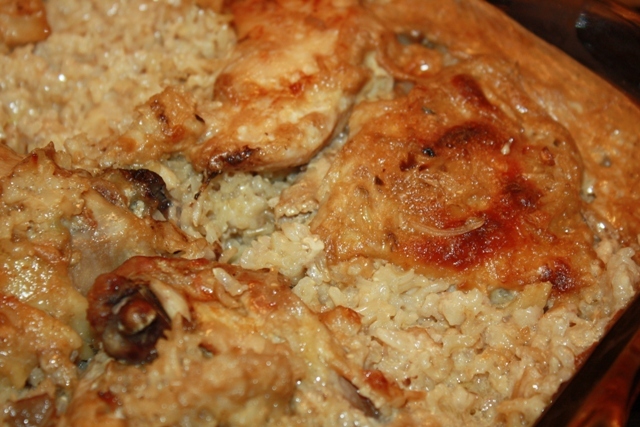 I prepared this delicious chicken and rice casserole a week ago. I made my own mushroom soup which is healthier than can soup. I added peas garlic and onions to my Casserole and used quinoa instead of regular rice. Delicious! Sounds great. I’ve made my own mushroom soup on occasion. It is better for you indeed and I’m just experimenting with quinoa as well. My daughter made if for us recently. Join 16,358 other homeschoolers who stay up-to-date with the latest advice and guidance from Rick and Marilyn, seasoned parents with 37 years of homeschooling experience. Kids Blog and Audio Club! Marilyn is wife to Rick, Mom to 14 children, Nana to 19 grandchildren (and counting!) and homeschooler for 37 years. She and her husband own Character Concepts which they started for the purpose of helping others raise children with a strong, godly character and Biblical worldview. They have developed character curriculum from preschool through high school, based on what they found worked when teaching their own 14 children over the years. Her passion is to help young moms raise kids of character and enjoy the journey! Copyright © 2019 Character Concepts Blog. All Rights Reserved.